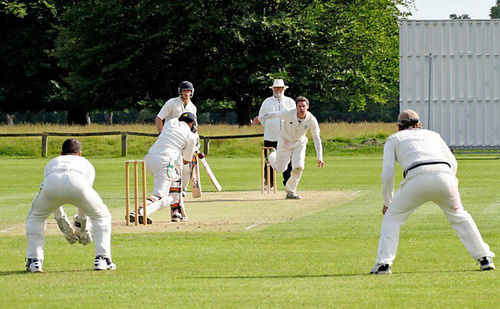 Below are the Senior Cricket Leagues within Surrey, please click on the below links to find out more about how the league is run, the fixtures and results. Formerly known as the South London Sunday Cricket League, the EPCL has been launched ready for the 2017 season. Since it's inception back in 1997 has remained faithful to its ethos of 'cricket for all’ and provides organised competitive cricket of 40 over and T20 matches on Sunday afternoons in the South London, Kent and Surrey areas. For all enquiries regarding League Admin, New Joining Clubs, New Players, Fixtures, Venues and Sponsors etc. please contact: I Mane, the League Chairman on 07817 493833 or jibrankhan3@hotmail.co.uk or see our Play Cricket website here. Community cricket league offering cricket playing opportunity for more than 1000 cricketers from its member clubs. Since 2005 it is drawing majority of players from Greater London Area and offering competitive Sunday matches in the following formats: League format games (40 overs, win/lose), Cricketers Day (mini tournament), T20 tournament, and cup games. BTCL representative team also participates in tournaments conducted by other leagues, associations, communities & Charities. From 2016 onwards BTCL engaged in promoting cricket at grass root level through BTCL Cricket Academy.